Read More Stuart Townend is a name many people will be familiar with. He is a British worship leader, and writer of some of the most popular church songs of the past few years, including In Christ Alone, How Deep The Father's Love, The Power Of The Cross and Beautiful Saviour. He was recently described by a leading Christian magazine as "one of the most significant songwriters in the whole international Christian music field". Stuart attends and regularly leads worship at CCK in Brighton, a church which is also home to a number of other well known members of the Christian music world, including Paul Oakley, Lou Fellingham and Phatfish. 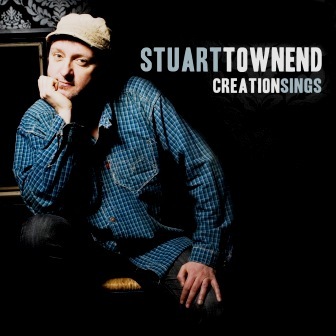 So, as a song writer whom I respect enormously, I was looking forward to Stuart's latest album, Creation Sings. Then I started to read of his plans for a tour to promote the new album in October. "The band line-up will include accordion, fiddle, whistles, maybe even a banjo!" says his website. That got me wondering. Then I listened to the album, and everything became clear. I can't quite put a label on it, but there is very much a country or folk feel to this album, and at times I couldn't help but picture morris dancers skipping along to some of the tracks. Maybe I should explain a little more. The 13 songs on Creation Sings are a mixture of happy go lucky folk numbers, quieter acoustic tracks and the odd hymn or two. 'You Are My Anchor, is a soft sounding worship song, with nice guitars, good drums and perfect for a church setting. It's also probably the best song on the album. Then there's a funky acoustic reworking of the the well known song 'All My Days', already popular in churches all over the world. 'Light Of The World' is an Irish style song, with a female lead vocalist and even an instrumental pipe section you could do an Irish jig to. 'Gethsemane', as you might expect, is a more somber tune with some beautiful strings. 'Speak O Lord' is another song destined for the church, with its steady pace, good lyrics and nice piano playing. Then there's the final track 'My Fault' which is more upbeat. It feels like there is a strong rock song inside it somewhere waiting to get out, with a punchy dream beat and acoustic guitars, more secular sounding lyrics and an almost Robbie Williams style to it. In summary, it's not really the album I was hoping for, but then I don't think it was really aimed at my demographic. If you're more into the folk/Irish/country style of music, this will probably be ideal for you. But if you're looking for a worship album you can sing along to, or play to a youth congregation, it probably isn't for you. To buy this album click here.